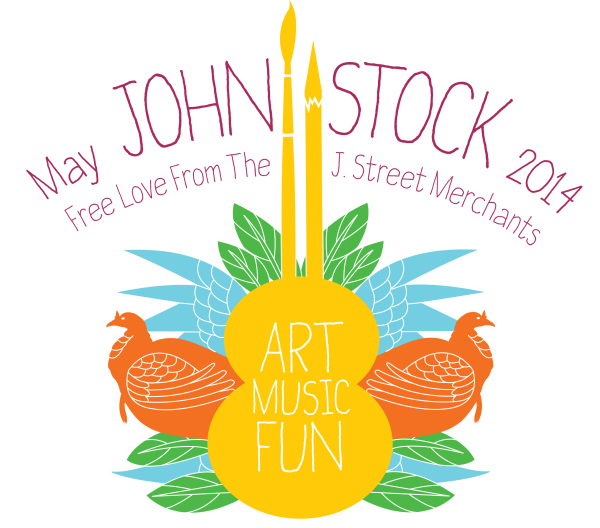 All proceeds from Johnstock, go to the Johnson Street Merchant lot repairs and upkeep. 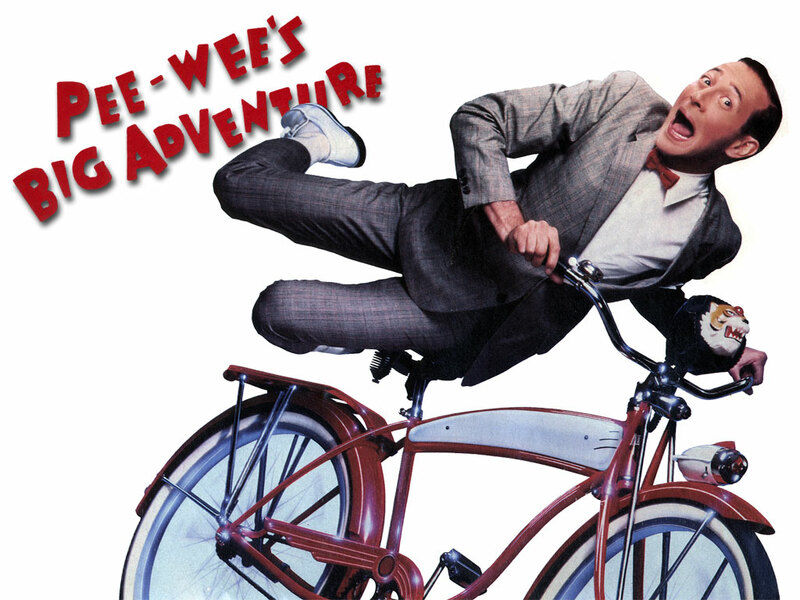 At Dusk we will be showing the movie – Pee Wee’s Big Adventure – In the JSMA parking lot. Sponsored by EMI. 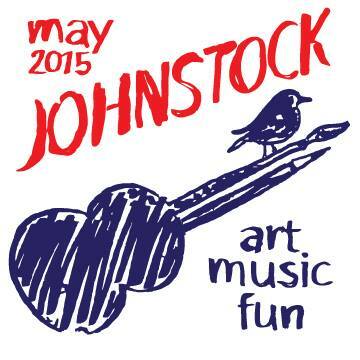 Johnstock – Saturday, May 31st. Come to the Johnstock / JSMA info table, where you can buy a Johnstock T-Shirt and a raffle ticket to win prizes from the local merchants. Games and Jumping Castle (From Castle Building and Remodeling). Hazel’s, The Coffee Shop Northeast and Parkway Pizza will have quick grab and go items. 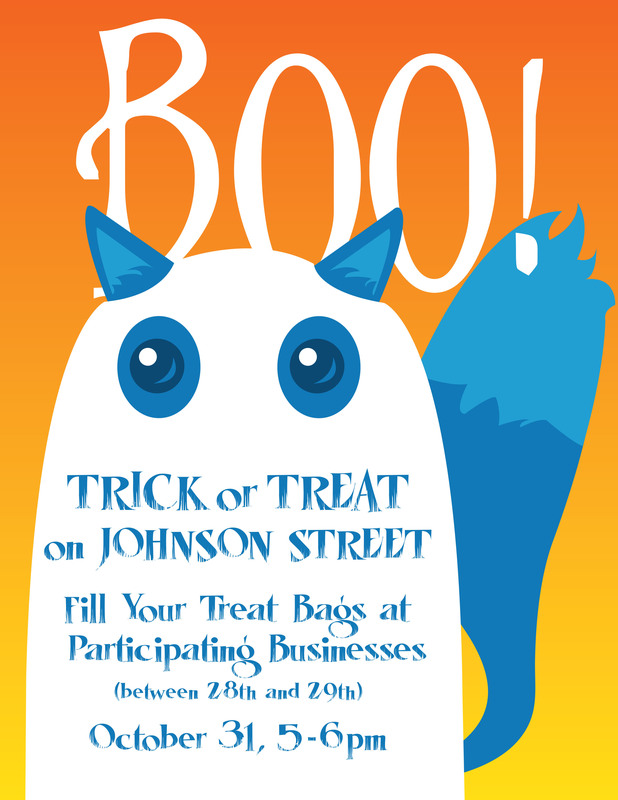 In addition grab a treat at Sarah Janes. 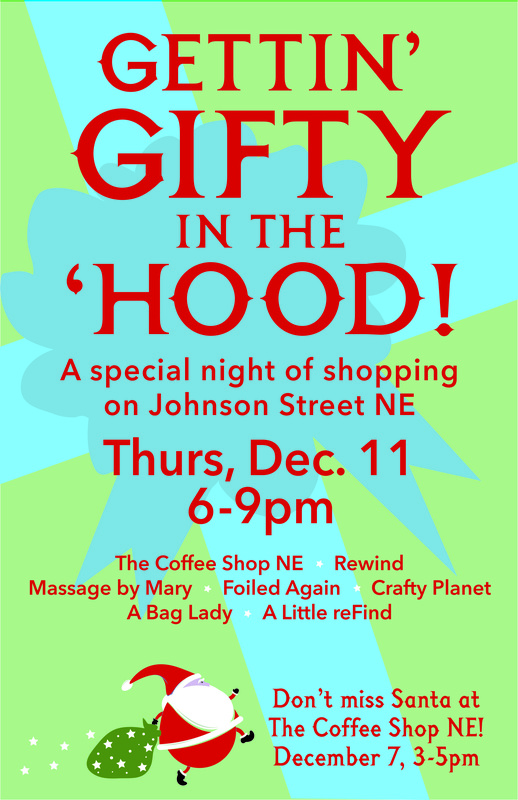 A Bag Lady, Crafty Planet, Rewind and the newest addition to the block A Little reFind. The Hollywood Theater will be open on Saturday, May 31st from Noon – Four. This could your last chance see it before the renovation. 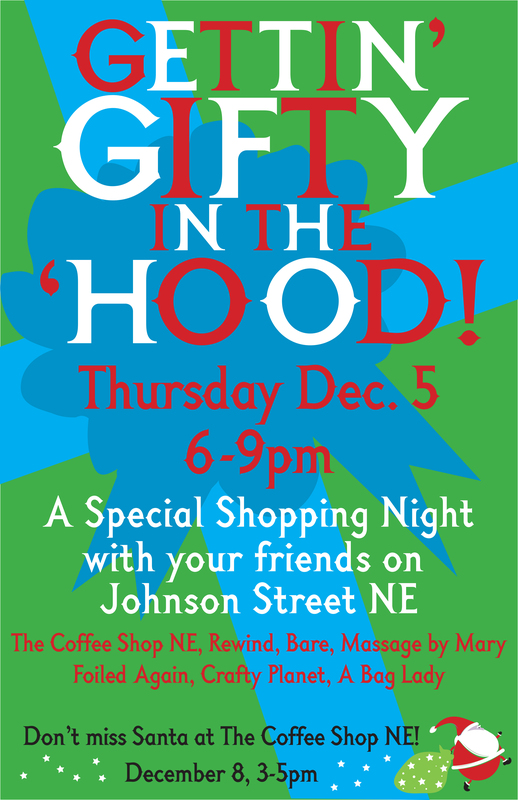 Friends of The Northeast Library, Tommie Boosters, NE CDC / The Co-op / Northeast Ride and The Audubon Neighborhood Association. 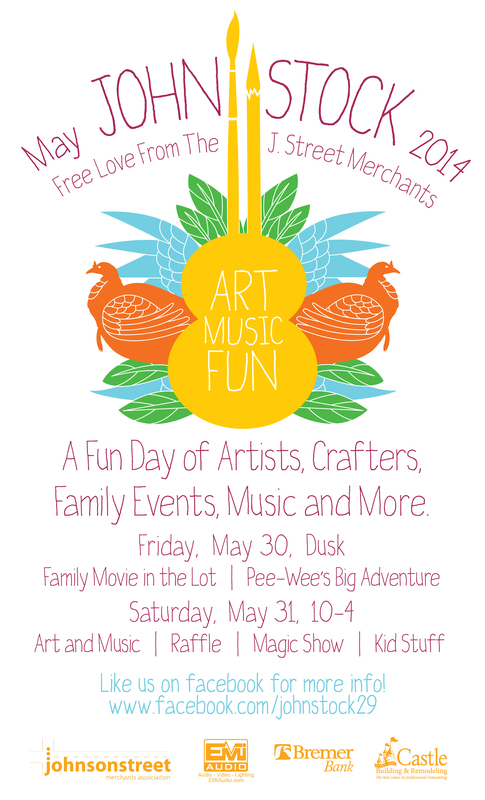 The Johnson Street Merchants Association and our amazing friends and neighbors.